Come see Big Ten basketball at its best! 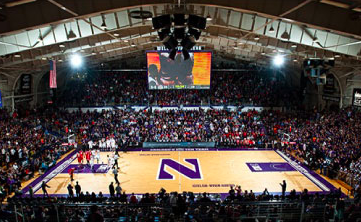 Northwestern University Men's Wildcats season is the first in the all-new Welsh-Ryan Arena! Watch a home game in Evanston in a state-of-the-art facility and enjoy a world-class experience with the passionate Wildcats home crowd!